Say Happy Birthday with this colorful birthday cake inspired bouquet!. 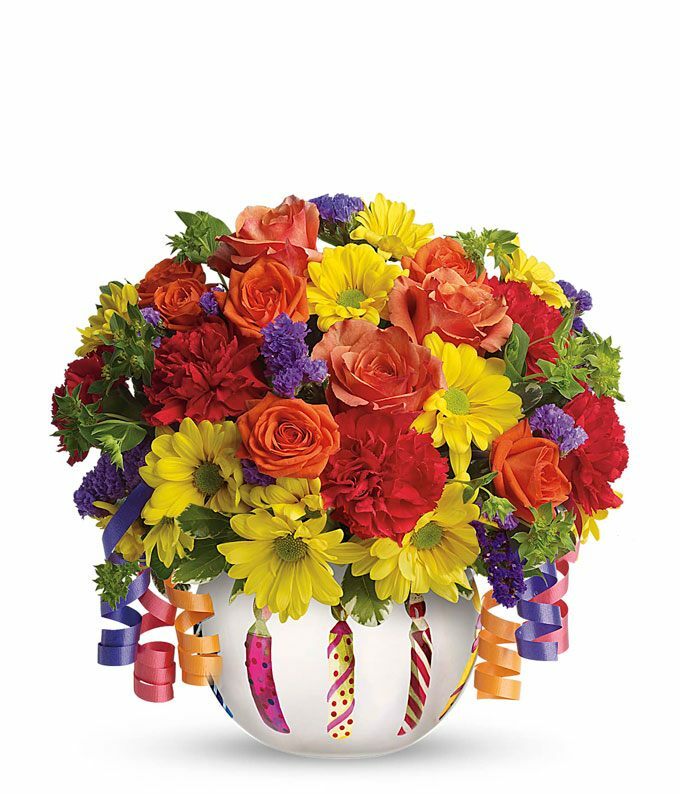 This festive arrangement is the perfect centerpiece to any birthday party. The vibrant colored flowers and party decorations all share a frosted glass bowl with decorative candles. Arranged with bright roses, carnations and spray mums.